﻿ L'Fisher Hotel, Bacolod (Negros Occidental) | FROM $39 - SAVE ON AGODA! "Love the hotel and location, would gladly stay here again." Have a question for L'Fisher Hotel? "Good location and the bed is comfortable." "Overall a good hotel for the price"
"My mother enjoyed the stay." 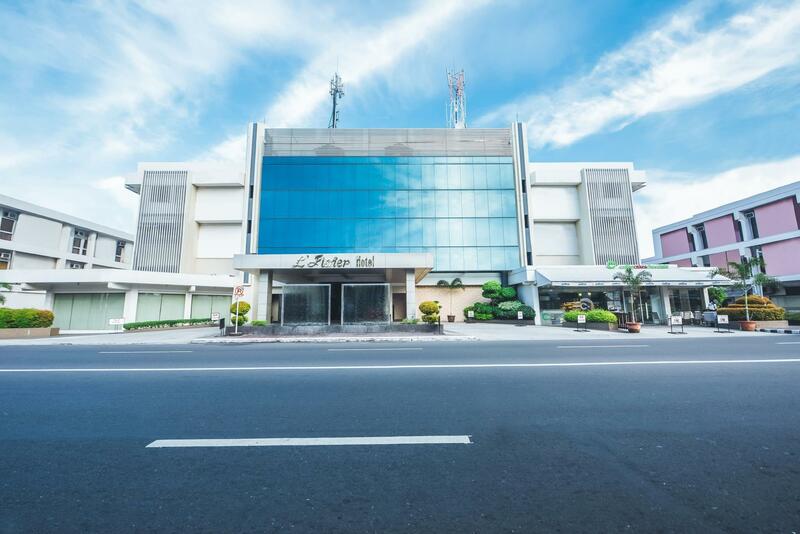 This centrally located hotel is situated in downtown Bacolod and features comfortable rooms that are perfect for business travelers. L'Fisher Hotel is regularly visited by local and international travelers thanks to its convenient location close to many of the area's business and commercial areas. 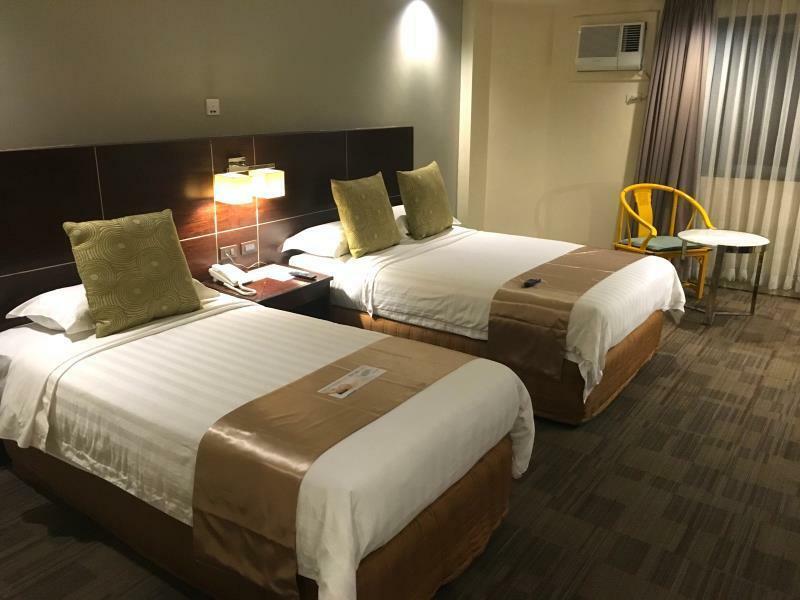 Each of the 100 guestrooms are comfortable and clean and offer good quality accommodation with modern amenities including air conditioning, television, and a mini bar. L'Fisher Hotel also features a large swimming pool as well as a delicious restaurant serving local Filipino cuisine as well as other Asian favorites. Everything was nice except the fact that the restroom doesn’t have bidet. Lots of options for the breakfast buffet. Thank you very much for your comment/feedback. We appreciate you getting out of your way to let us know of our lapses. We sincerely apologize for any inconveniences this issue may have caused you. Rest assured, we will be forwarding your concern to the higher management and will make every effort to see that this event will never happen again in the future. Still, we would like to express our heartfelt thanks for choosing to stay at L'Fisher Hotel. The refurbished rooms are much better than the older ones and the rooms at the back are a lot quieter than at the front. Our room was very good, but the bed was too hard for me. The shower was excellent and generally no complaints about the room. The buffet breakfast was a bit manic and didn't really cater for western clients. The staff were all friendly and helpful. Everything is excellent! Food, location, staff. Will definitely stay here again! We love the room, very clean and comfortable. The location is just a walking distance from the best places in bacolod, Calea, Diotays, Bacolod inasal..etc. .My only concern is that the access to the pool is very inconvenient. From our hotel room we need to pass through the lobby, exit from the back door of the hotel, where there are a lot of cars passing through, and enter another building where the pool is located. But over all i really recommend this hotel. 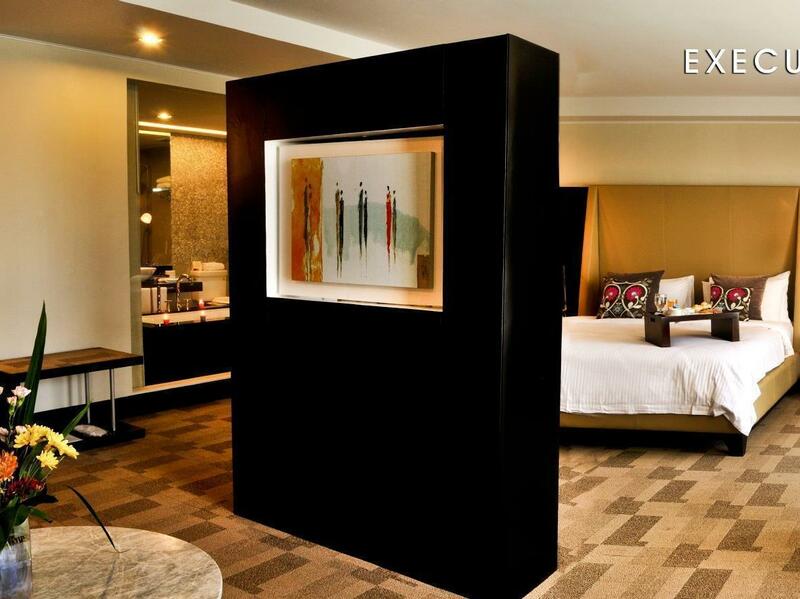 The hotel is located in the heart of Bacolod, few minutes away from the Provincial Lagoon and Negros Museum. It is surrounded with cafes and restaurants. 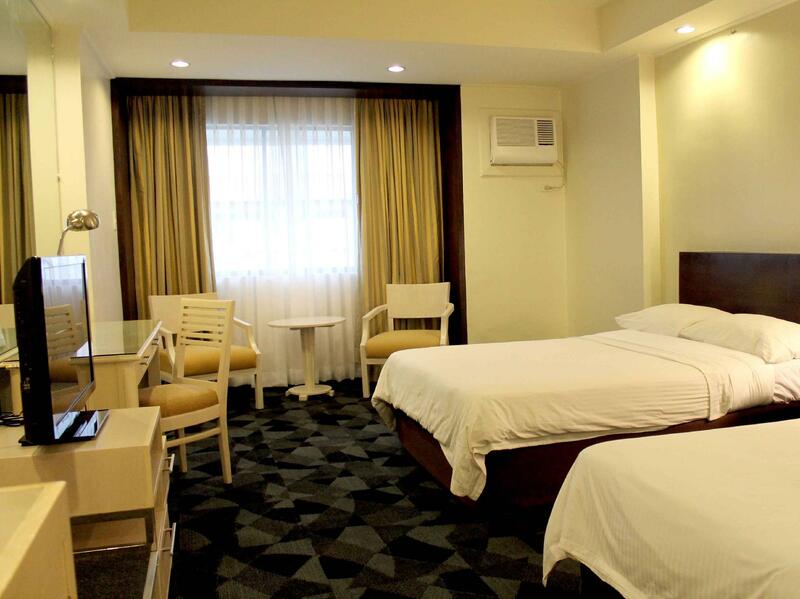 The hotel itself is complete with great amenities and facilities. A perfect place to relax and enjoy. One thing to improve - staff/receptionists should smile more often. I can recommend this hotel to my friends who coming in bacolod. Good hotel and convenient for the tourist. The location of L'Fisher hotel is strategically located at the heart of the city. You can walk around the area to try all delicacies Bacolod can offer. All of their staff are great, specially their housekeeping as every nick and cranny will be sure to be cleaned everyday. The only department they got the short stick from me is with their facilities. Their LCD TV in 4:3 resolution does not support HD channels from their cable. Then a little preference issue, is that their lighting inside the room is way too linear in the shade of yellow. Overall, my stay was superb and the place is worth recommending for if you will visit Bacolod. Love the hotel and location, would gladly stay here again. Only gripe is if you want to have food delivered to the hotel, they charge you 24% of the cost of what you have delivered! This seems a bit excessive, especially because we ate in at the hotel more often then not, and still supported their in house restaurant quite a bit. A few places in the restaurant had lots of flies and it never seemed like anything was really done about it. Also had very small gnat type flies in the room a lot. With the above being said the hotel is still very much value for money, staff courteous, and I would stay here again. What stood out for me is the hitel's location. Very accessible to all the pasalubong shops, church, mall and parks. However one of the hotel staff charged us with an extra person charge even if we fit in the room since it was big enough for us, three adults and one child. I habe nothing against it, but the last time we were there they didnt charge us with the extra person. I dont know if thats your new policy. Overall, our stay was pleasant. Will be back again soon. Request for additional water 3 times, none came and no notice at all. Request for newly renovated rooms, not granted unless paying more. First time to visit Bacolod to attend a friend's wedding, and it did not disappoint, big thanks to a comfy and convenient stay at this hotel. The only thing that I wasn't in favour of is the amount of money you have to deposit to the recipient. This money could be used for something else like pasalubong shopping. I am not against hotel deposits, but 2k is too much for me. Nevertheless, I had a wonderful stay. The location was perfect. The staff were friendly and very professional. Good for staying. Breakfast is good. even the line for eggs are usually busy. Staff are attentive and helpful. Next time I will stay this hotel of course. the hotel was old but yet still captivating to our eyes. tho its expensive but the food was so deliscious. Very friendly and attentive staff and good location, but needs some renovated. Everything just great. Also a great buffet on Christmas eve. We were two people occupying the room and so naturally, we asked for a second key card. They can't provide us with one. Overall, however, it has been (as it always has) an excellent stay all throughout. very nice hotel, fast check-in /-out; very good breakfast (still improved compared to former times) with salads, bacon, corned beef- very good taste; restaurant/room dining: very good quality; pool at top: very clean, nice view. My recommendation: order a pizza there at restaurant (I think the best pizza in Bacolod - perfect taste & not expensive at all); am here visiting since 2011 and will come again for sure.